Hazeldene’s is the largest private employer in Bendigo, employing more than 700 locals directly as well as contracting more than 400 experts in specialised roles. Our senior managers navigate the business through an extremely competitive environment and have the utmost commitment to employees, animal welfare and the local community. Inducted into the business at birth, John’s early career focused on sales, distribution and production. His leadership and intimate industry knowledge has transformed the business into one of Australia’s only fully integrated regional poultry processors. Proud of his achievements, John’s commitment is still firmly focused on delivering the best quality chicken Australia has to offer. Also inducted into the business at birth, Vicki’s early career focused on farming. She took a leave of absence to train and work as a nurse, returning to the business part time when having a family. Her later career has focused on farming and grain buying. In 2012 she was awarded Poultry Person of the Year by the Victorian Chicken Meat Council, a prestigious accolade awarded by her industry peers. Karl joined Hazeldene’s in 2006 after almost 20 years working in the South African poultry industry. Coming from a role in which he managed a fully integrated poultry business, Karl was perfectly positioned to expand, streamline and improve the farming and livestock side of Hazeldene’s. A strong campaigner for animal welfare, Karl has been instrumental in improving farm quality and attaining RSPCA accreditation. 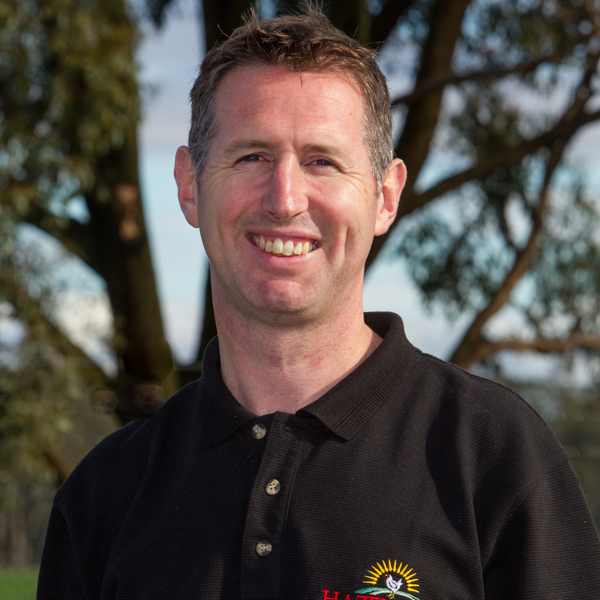 Ross made a tree change from the Mornington Peninsula to Bendigo to join Hazeldene’s in 2008 after spending 22 years in the Victorian poultry industry. During this time he held a variety of roles in the areas of financial, management, farming and cost accounting. Ross has helped the business immensely with the shift to cost accounting and implementation of new financial systems. Ian commenced working for Hazeldene’s in 1989 and has been a part of the company’s evolution. He campaigned to buy the company’s first computer and has been focused on improving administration ever since. Implementing computerised accounts and payroll systems, Ian has seen massive change at Hazeldene’s throughout his career and continues to learn about the unique poultry industry. A third generation Hazeldene, Adam completed studies in Computer Systems Engineering with Honours before working in Europe across multiple poultry and related organisations before returning to Hazeldene’s to head up everything technology based. Another third generation Hazeldene family member, Michelle has been involved with the business in varying roles and capacities since her student days. After completing tertiary studies in business and education, she worked in education and the property sector for 15 years before returning to the business to take on the role of Brand Manager. Tony joined the Hazeldene business in 2008. He brought a wealth of experience in recruitment, sales and mechanical engineering. Leading the marketing and distribution side of the business, Tony keeps the truck fleet on the road and manages sales and customer service, with a focus on metropolitan customers. Ann brought her fresh eyes to the Hazeldene team in 2013. With more than 30 years’ experience in Human Resources across industries including water treatment, education and media, Ann is well equipped to take care of our 700–member workforce. Ann’s commitment to fairness and equity and her success in increasing employee morale is clearly seen across the business. Tracey joined the Hazeldene team in 2000 as a part-time worker in the processing area. Tracey took a keen interest in Quality Assurance, studying in her own time and taking on the QA Manager Assistant role. After being mentored for 12 months, Tracey was perfectly positioned to take on the Manager’s role in 2005. Tracey has been instrumental in the significant increase in retail markets. Her proudest moment was accepting the HACCP Award in 2013 for Outstanding Company – Single Site. Alan joined the Hazeldene’s team in 2014. His previous experience is in managing maintenance, major projects and engineering teams in the manufacturing sector, including automotive, building products, heavy construction, and food. Alan brings a high focus on building an engineering group to support the business into the future. Daniel recently joined Hazeldene’s after moving from Ireland with his Australian wife and their three boys. Daniel has a Master’s Degree in Environmental Management and spent many years working for Ireland’s largest dairy company as an EHS manager. Daniel brings his passion for the environment and his love of life to this demanding and challenging role.